Summerland Credit Union is a provider of credit cards, home loans, eco loans, personal loans, savings and transaction accounts, home insurance, car insurance, travel insurance, and travel money cards. If you’re considering a Summerland Credit Union credit card, then check out what’s available in the table below, based on a monthly spend of $2,000. 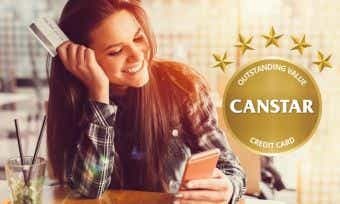 The Summerland Credit Union Rewards credit card was awarded a 5-star ratings in Canstar’s 2017 credit card star ratings. If you meet the eligibility requirements above, then you can apply online, call Summerland Credit Union on 1300 802 222, or fill out a credit card application form and drop it into a branch. 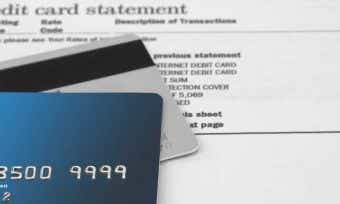 You will need the usual documentation when applying for a credit card. How do I activate my Summerland Credit Union credit card? You will have to activate the card when it arrives before you are able to use that card. Activate the card using the mobile banking app or Summerland Credit Union’s online banking portal. Can I manage my Summerland Credit Union credit card online? You can manage your Summerland Credit Union credit card through the Summerland mobile banking app or online banking, available for both Apple and Android devices. Using online and mobile banking, you can do things like activating your card, view your recent transaction history, view your balance, and more. How is interest calculated on my Summerland Credit Union credit card? Interest is charged when you carry a balance on your Summerland Credit Union credit card. Interest is charged on cash advances from the date of withdrawal and balance transfers from the date of transfer (fees and charges apply). Summerland Credit Union’s credit cards offer an interest-free period of up to 55 days on purchases. To qualify for these interest-free days, you must pay in full the closing balance shown on that statement by the due date, as well as the closing balance of your previous statement by its due date. What will my credit limit be on my Summerland Credit Union credit card? The credit limits on Summerland Credit Union’s credit cards range from $1,000 to $50,000 at the time of writing. Your credit limit is determined based on the information you provide in your application. Find out more about how credit limits are determined here. How do I close my Summerland Credit Union credit card account? 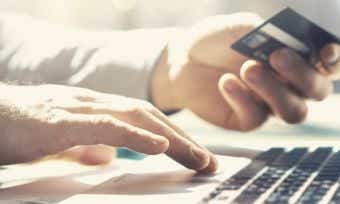 You can cancel your credit card at any time by contacting Summerland Credit Union on 1300 802 222. Your card balance will still need to be repaid in full even after the card is closed, and you will continue to receive monthly statements until your card balance is fully repaid. If you are experiencing financial hardship, then there are other options besides closing your credit card account. Try contacting Summerland Credit Union’s financial hardship assistance team to learn about some potential solutions. Summerland Credit Union has made efforts towards environmental sustainability – since 2009, it has reduced its fuel consumption by 60%, its paper consumption by 15%, and its electricity usage by 11%. Summerland also has a strong presence in local communities, being involved in a range of social, sporting, and community groups. For example, Summerland is a supporter of grassroots football. Its Cash 4 Clubs program allows members to support their local club simply by choosing to bank with them, as these clubs will earn cash whenever a member opens an account or takes out any eligible loan products. Finally, Summerland Credit Union was the first to sponsor the Rising Stars Scholarship program with Southern Cross University.